A project to catalogue all corporate literature records held at the Company Archive has recently been completed. These records, dating back to 1926, encompass all published corporate reports, including annual reports, interim results, annual reviews and reports concerning specific areas of the business, such as Plan A and Corporate Social Responsibility. 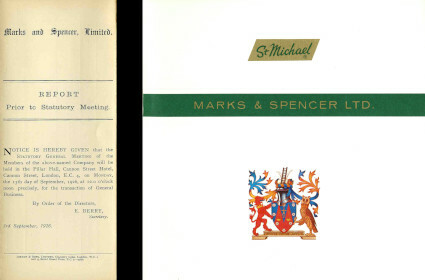 The records offer a fascinating glimpse into the development of M&S over time, providing insight into the core aims and values at the heart of the company.